Welcome to Angel Affirmations for October 2018 where WU World Changer Janette Stuart shares another 31 days worth of affirmations to help you shift from a negative to positive wellbeing. Here in the northern hemisphere, the changing fall colors, cooler days and longer nights herald the seasonal change and coming of winter and the holidays. Fall is a perfect time for more self-care, and affirmations are a wonderful way to shift your consciousness and raise your vibration. Your invitation is to embrace this exercise of reciting an affirmation each day during October. I am provided for each and every day. Each day is a new beginning; a fresh start. I choose to begin the day with a grateful heart and realize I am very blessed, even in the midst of seeming chaos. Just as the seasons change, I, too, am affected by the rhythms of the Universe. I notice the bounty in my life and express gratitude often. Today, I lighten up and make room for fun as a way to cultivate joy. I am grateful for the gift of friendship and connection. I spend time in quiet reflection and tune in to inner wisdom and divine guidance. Today, I remember that “All is Well” and that I am supported, loved and protected every step of the way. I am on the lookout for blessings during my busy day. I celebrate love today in my life by reflecting on a past, present or future relationship with a loved one, friend or pet. I allow myself the gift of renewed creativity in my life and make something which delights my heart. Today, I enjoy the gift of music and raise my vibration. I am intentional with my desired outcome in all I do today. Today, I take sacred self-care measures to celebrate the gift of my life. As a new week begins, I am grateful for my many interests and responsibilities. Today, I pray for those in positions of authority; may they be blessed with wisdom, compassion, and empathy. Today, I celebrate my roots with a heart full of love. Today begins a new adventure, and I move forward in faith and trust. Today, I choose to move my precious body and celebrate the miracle of me. I take time for quiet reflection today. I am grateful for the gift of today and the possibilities it offers. Today, I figurately “roll up my sleeves” and take care of business. Today, I give myself grace for anything I think I should have done or didn’t do. I rejoice that I am divinely loved and supported. I enjoy the gift of the heavens: the sun, the moon, and the stars. I am one with all of creation. I decide I will enjoy the upcoming holiday and let ease and grace guide my choices. I enjoy the day and look for ways to add more fun. Today, I choose to remember life is sweet. Today, I allow some time just for me in my schedule. This self-care will enable me to move more joyously into the week ahead. Today, I choose to make my Monday marvelous. I am grateful for the seasonal changes in my world and enjoy the amazing beauty. Today, I embrace the treats of the day and minimize the tricks. I allow all to be fun; a great metaphor for my entire life. If you have enjoyed these Angel Affirmations this year, perhaps you’d like to join in my online e-course entitled “Ignite Your Joy” beginning on October 15. This four-week journey of joy generation will delight your body, mind, and soul. It is a Monday-Friday jolt of joy, to light up your life. 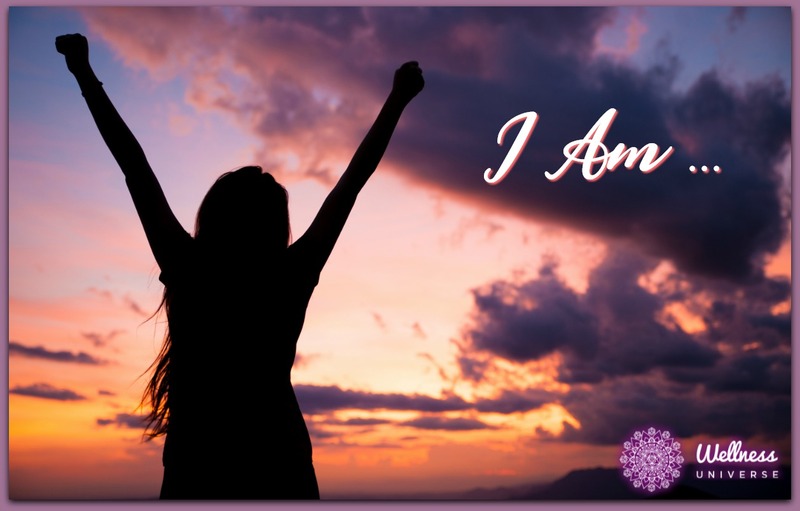 See you back here this time next month for 30 Angel Affirmations for November 2018!